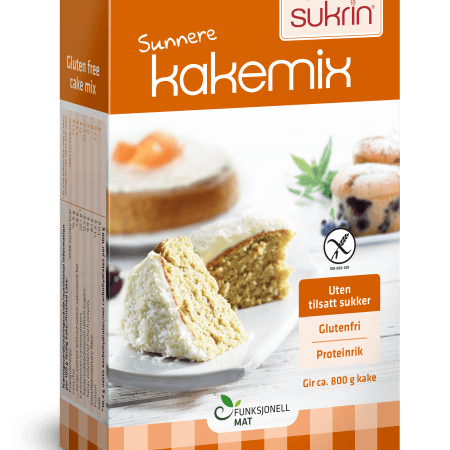 Healthier Baking mix – containing only natural sweeteners! 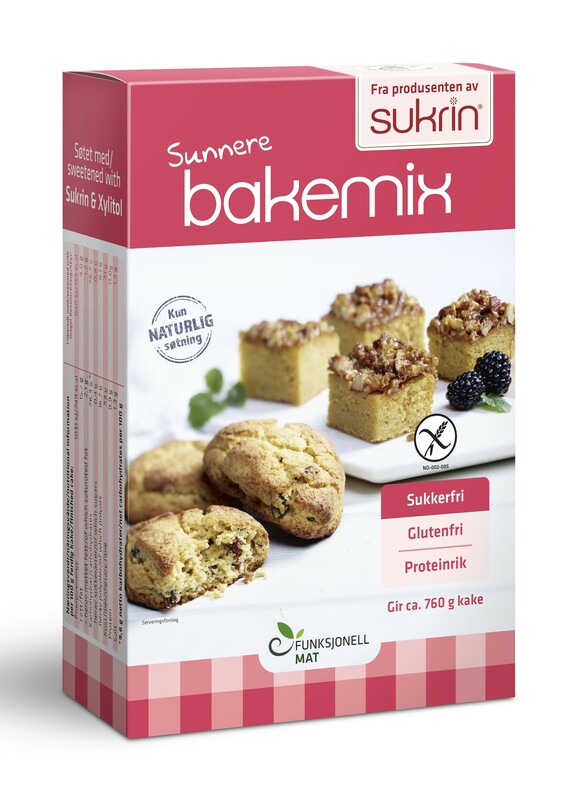 Our baking mix makes it easy to bake delicious cakes and desserts that are both gluten and sugar-free. 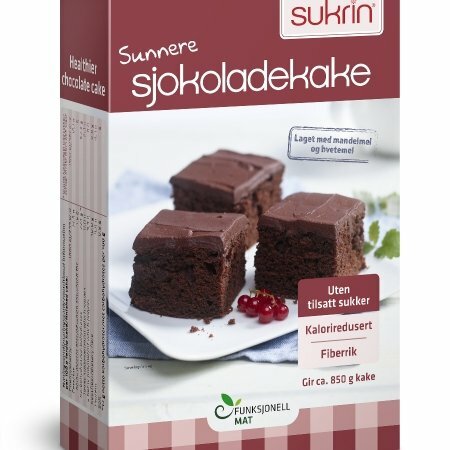 Just add your favorite flavorings and let your imagination do the rest; chocolate cake, cupcakes, sponge cake, scones, waffles, pancakes – the list is endless! 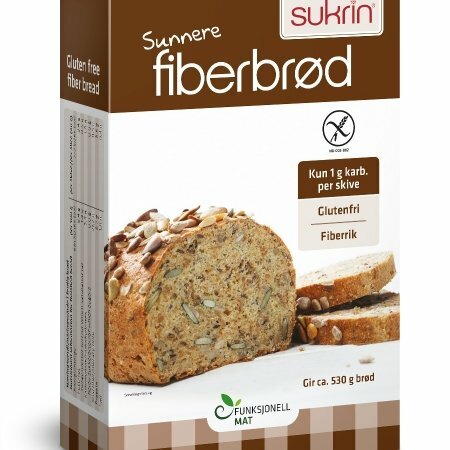 This cake mix contains Sukrin Granulated and xylitol instead of sugar, and we have replaced the wheat flour with fat-reduced sesame flour and FiberFin (natural resistant starch). 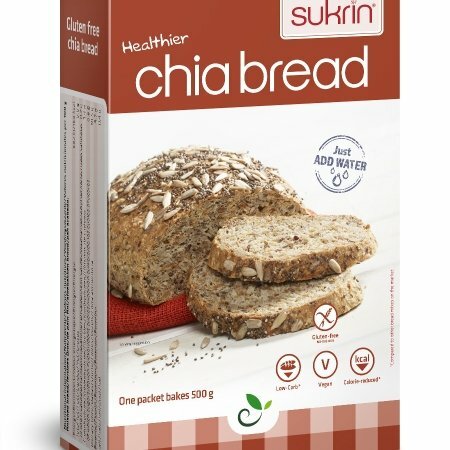 The result is a delicious lower carb and low GI baking mix that can be used for sweet as well as more savory baking. Using the mix as a base, it’s simple to make cakes for everyone to enjoy with a clear conscience. You can create a variety of delicious, moist cakes from one easy mix! 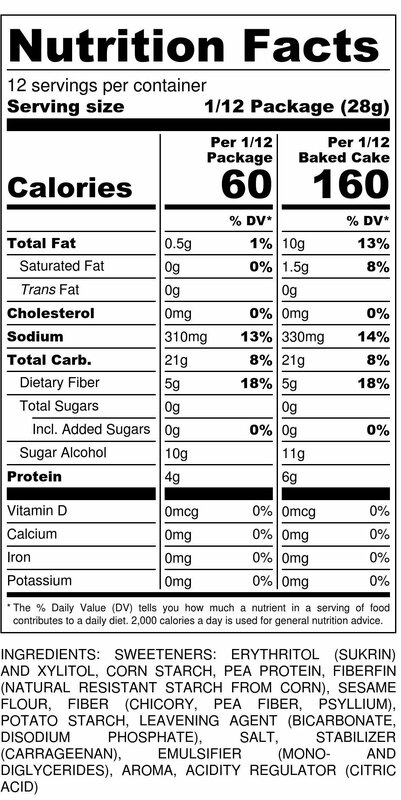 Use it as it is, or as a base to make your own creation.